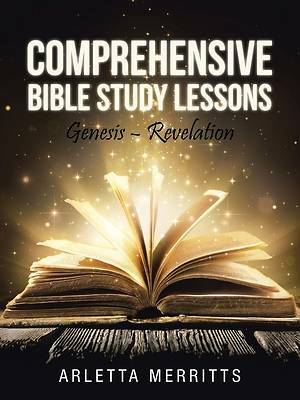 Comprehensive Bible Study Lessons has been written to encourage Bible reading. Lessons were generated from the Old and New Testaments and designed to help Bible readers get an understanding of the Scriptures. The Holy Bible is the most important book ever written. It gives us an opportunity to delve into the mind of God and perceive His majesty, splendor, and magnanimous influence over all creation. We understand that God is in control. As questions are answered in this book, an understanding of God's Word is sure to come. The answers to the questions are placed in the back of the book. Lessons are purely from the Word of God and do not promote one religion over another. Because the need for God's Word is great, I believe Comprehensive Bible Study Lessons will appeal to all Christians.